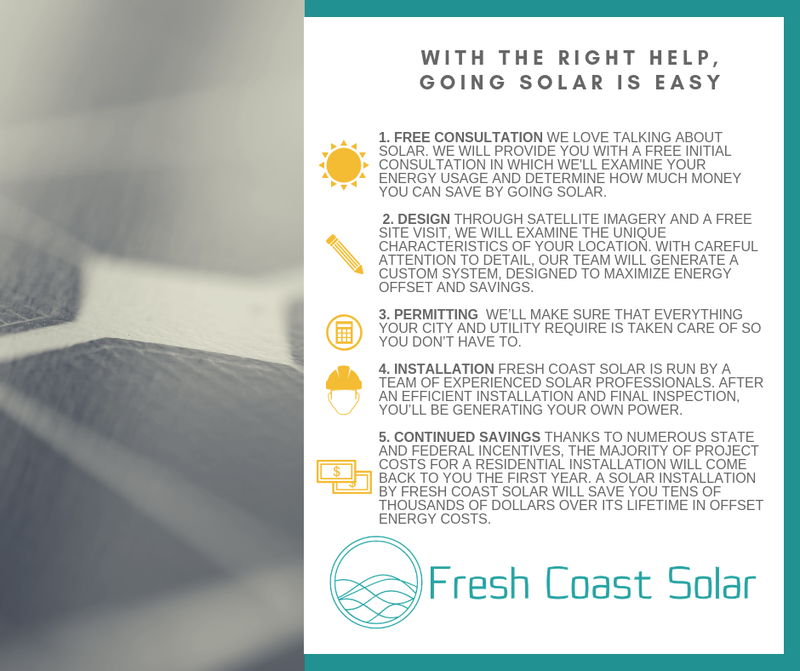 Fresh Coast Solar takes a customer-driven approach to simplify the process of going solar. From the first handshake to the time your panels begin to generate power, we supply guidance and manpower every step of the way. Ready to get started? All you need to do is send us a copy of your electric bills. If you don’t have any copies handy, you should be able to easily access them via your account on your utility’s website.